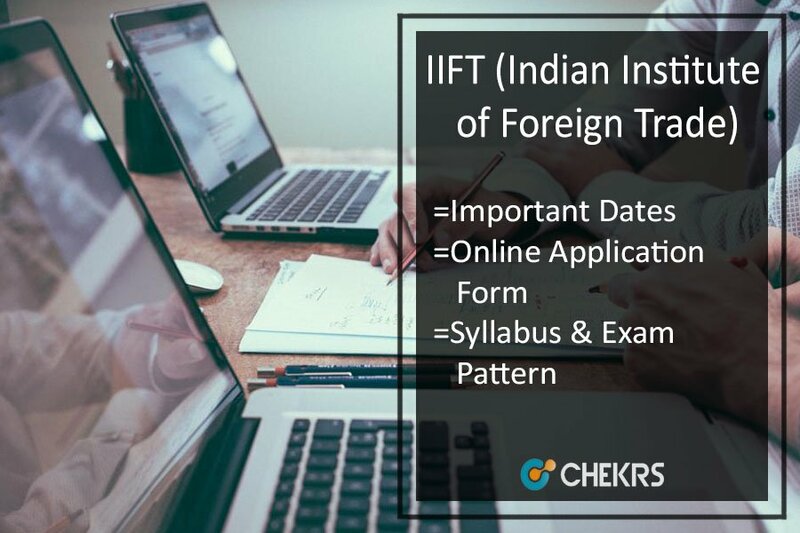 IIFT Application Form 2018: The Indian Institute of Foreign Trade has started its application process for the entrance test. The students who are interested in taking admission in MBA (International Business) they can apply for the IIFT Online Application Form 2018. The last date for the submission of the online form has been extended to 15th September. The aspirants have to clear the entrance exam for getting admission into the Institute. The IIFT 2018 Exam will be conducted on 3rd December 2017. The aspirants who will clear the cutoff marks will be called for the GD, Interview and Essay writing test. They can also check exam syllabus, exam pattern, admit card etc here. The students who are seeking admissions in IIFT, they are informed that the IIFT Registrations 2018 has been started. The dead line for the submission is 15th September. The aspirants have to submit the form for appearing in the entrance exam. The IIFT Registration Form is available in both online and offline modes. The aspirants have to follow some precise procedure for the submission of the application form. Steps for the Offline Application Form. Candidates need to Download IIFT 2018 Application Form from the official site. Read the instruction and all entries of the application form by the pen. Don’t make the over hand writing. Make a signature and paste the photo of the applicant. Attach the copy of the academic documents. Send to the exam coordinating Institute by speed post. Steps to Submit the Online Application Form. Aspirants need to visit the official site of the exam make a login to the site. Click on the IIFT Application Form 2017. Fill all the entries of the application form and upload require the document in the application form. Make secure that filled entries are correct then submit the form. Take a copy of the application form for future need. Applicant should have a completed degree of bachelor’s of minimum 3 years. The final year candidates can also apply the application form. There is no age limit on the applicant. The admit card of the exam will be provided online. All candidates can download IIFT Admit Card from the official site of the exam. The permission letter of the exam will be provided only for those candidates who have submitted their application form before the last date. No student will be allowed to enter the examination centre without their IIFT Call Letter. Also, they have to bring the colour or photo id for proof. The aspirants are required to download the IIFT Syllabus Pdf. With the help of the syllabus, they will be able to cover each and every topic of the exam. The syllabus for the entrance exam is not fixed but it is assumed from the previous year papers that the syllabus will include below-given topics. Total no of questions in the exam will be 123 questions. There will be a negative marking of 1/3 marks (from the weightage of the question) for each question. The students for admission will be select according to the merit list of the exam and then the selected candidates will be called for the interview round and GD round. The names of the selected students will be announced after the end of second round. The Result of IIFT 2017 will be announced into the 2 parts. The first result of the selected candidates from written exam will be declared and then the selected candidates will be called for the interview and GD round. After the second round (PI and GD) the final result will be announced on the official site. The IIFT Result 2018 Date is not announced yet but it is expected that the result will be declared in February. For feedback and more queries, you can contact us by commenting in the comment section given below.